AP EAMCET 2019 Application Form can be filled till 19th April 2019. 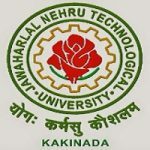 Jawaharlal Nehru Technological University, Kakinada will conduct the AP EAMCET 2019 examination. It is a state level examination for providing admission in UG engineering, technology, pharmacy and other courses. AP EAMCET scores will be considered by various colleges and institutions of Andhra Pradesh state. Through this article, students can get details for AP EAMCET Application Form 2019. AP EAMCET 2019 Application Form can be filled till 19th April 2019 with required late fee. Click here to apply. AP EAMCET 2019 registration has been started from 26th February 2019. Students are able to fill and submit the application via online mode. In the application form, candidates have to upload the scanned images of photograph and signature. The images should be scanned in JPG format and the size should be less than 50KB (for photograph) and 30KB (for signature). Candidates will be able to submit the application with the facility of late fee. In case of any correction required in the application, candidates can make it during the correction period. No need to send the printed application form to the university. Candidates have to pay the application fee through debit/credit card or net banking or AP online centres. The application fee is Rs. 500 (for engineering or agriculture & medical stream) and Rs. 1000 (for both streams). Indian Citizen, Persons of Indian Origin (PIO) and Overseas Citizen of India (OCI) candidates are eligible to apply. Students must belong to the state of Andhra Pradesh or Telangana. Students should have passed or appearing in the 10+2 or equivalent exam from any recognized board. Diploma holder candidates are also eligible to apply. Physics, chemistry and mathematics subjects are compulsory in the qualifying examination. The first step will be fee payment. For any other queries about AP EAMCET 2019 Application Form, you may leave your queries in the comment box given below. Yes, you can appear for exam with your admit card. Thank you sir …..and one more doubt sir., Iam the candidate of sc caste ..but I don’t have caste certificate…can i write an exam? You can write exam but if you have applied as SC category candidate you have to show your caste certificate at the time of document verification process of counselling. You can print application through the option given in the website. I have NDA exam on April 21 & also ap eamcet exam on the same day what should I do to change my eamcet exam date? In case the payment is unsuccessful your money will be credited to your account within few days. i haven’t submitted my application but did my payment process due to some reasons i want to cancel my application what to do sir? I am serving person in Indian Army, my son Mr K Ravindra Reddy had applied for AP emcet bipc and filed as children of Army Person, but there are shown/required to fill another two options one is candidate of merit Number and choose file. Please intimate what is the requirements documents or other please. I waiting for your reply. I am R.HARI CHARAN.I’ve done the payment for eamcet 2019,but I didn’t fill the form.Now,how can I log in and apply eamcet 2019 form. You can login through your registered login details. Sir,I forget my registration number, Could you please tell me the details to get my number. Your registration number must be mentioned in your registered mobile number and mail id. You can also get your login credential by clicking on forgot password option online. Make correction during the correction period from 6th – 10th April 2019. Dear / Madam, Candidate Surname we have not provided fully, We wrote as initial (example her surname is Sombhatla we wrote as S) Please clarify how to correct it or is it ok.
For non local what are the requirements for AP EMCET exam.10+2 result will be late in other states. Online payment option not working. Contact officials regarding the discrepancy. The link to apply is provided in our article for AP EAMCET 2019. It is candidate’bank Ac number needed or candidate’s parents account number? Link will be updated in our article when it will be released. i want to know that the student is non-native of ANDHRA/TELANGANA will be able to apply for the exam. and in a need for full format and process of the examination. Sir I am studying BTECH 1st year,but I still want to apply for Ap eamcet 2019. Am I eligible for applying it….??? ?